Fun Crafting Ideas – Emma Teaches Art! 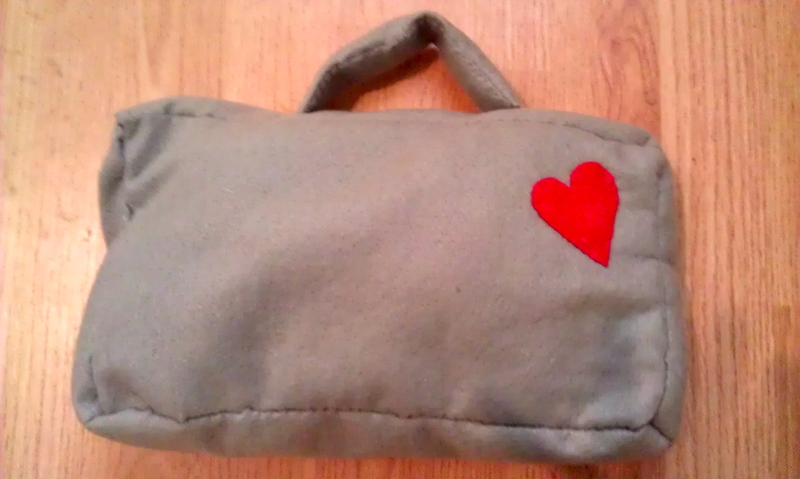 For Valentines Day I tried out some crafty ideas. For all of my friends and co-workers at the school (security guards, office staff and all) I made small, individualized heart collage cards. 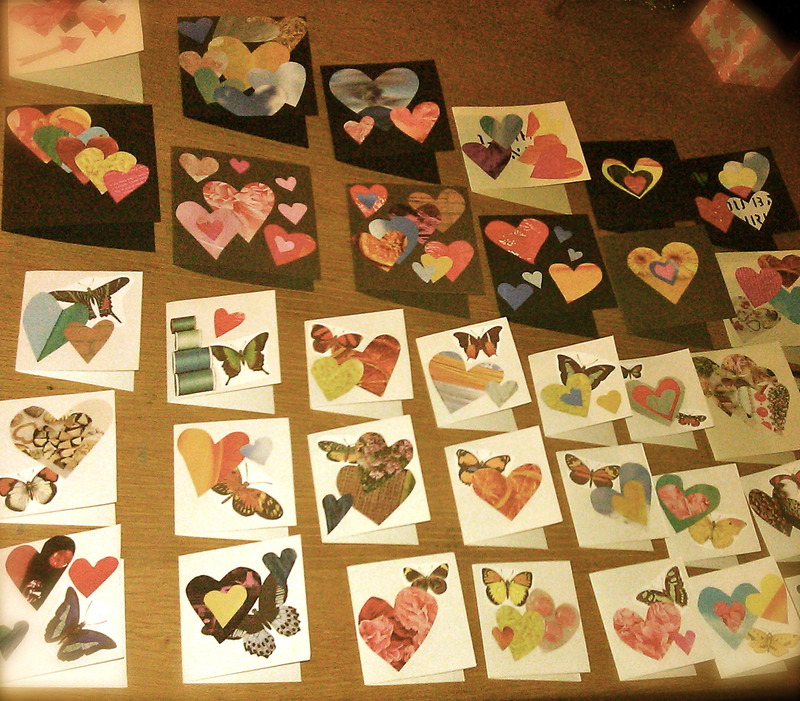 I used stiff card stock paper and different hearts I cut out of images from different magazines. 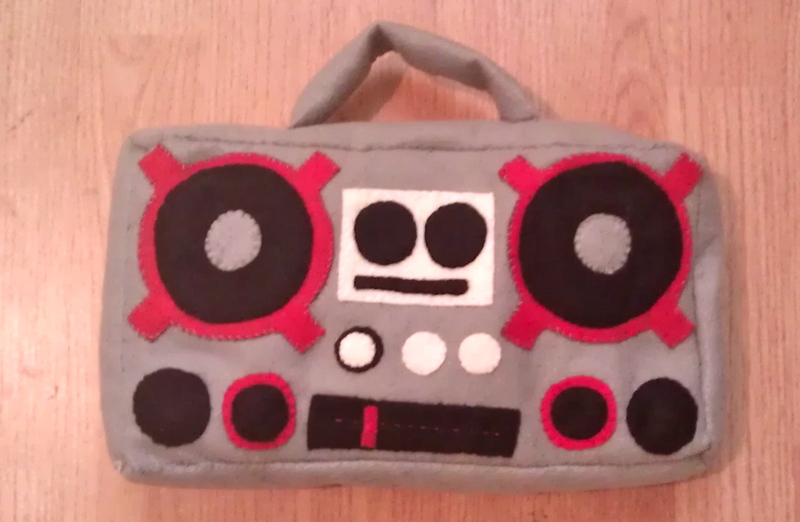 I also sewed together some colored felt to create a boom box pillow for my boyfriend. I was very flattered when he asked me where I had bought it! I was inspired by some of the handmade items I had seen on etsy.com and this gave me a good gauge of how long it would take to do a project like this with my students.